Obituary – Harrah, Helene Kathryn (Lovekamp) « Perry High School Alumni Association, Inc.
Helene K. Harrah, 87, died Sunday, February 17, 2008 in Vinita, Oklahoma. 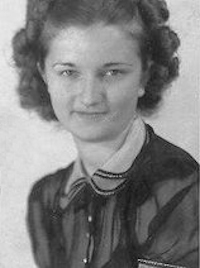 Helene was born in Perry, Oklahoma on November 12, 1920, to Frederick and Katherine (Bamberger) Lovecamp. Helene is survived by her two children; Kathy and Donnie Gray of Vinita and Allan and Cheryl Harrah of Vinita. 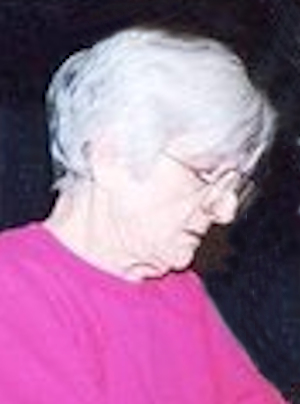 She will also be missed by her two sisters; Winifred Vculeck of Stillwater, OK., Eleanor Sherwood of Perry, OK., her Son-in-law, Art Feemster of Ark City, Kansas, and nieces Anne, Carol and Joan. Helene was blessed with six grandchildren and three great-grandchildren, who will also miss her. A funeral service will be held on Friday, February 22, 2008 at 2:00 PM at the Luginbuel Funeral Home Chapel in Vinita, Oklahoma. Pastor Terry Wise of the Carter Baptist Church will preside. There will be a visitation time at Luginbuel Funeral Home in Vinita on Thursday between 6pm and 8pm. In lieu of flowers, the family requests contributions are given to the Alzheimer’s Association, 6465 South Yale, Suite 312 Tulsa, OK 74136-7810.